Previously on this Review, Beck was shown to be connected with the reactionary Koch brothers, reactionary, billionaire proponents of corporate control of the government. Additionally, Joe O'Shaughnessy made that case that Beck undermines the interests of the people who watch and support him here. 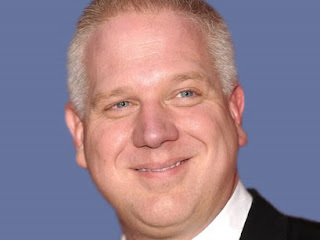 Last week Beck used his marginalized position in the realm of talk radio to smear protesters at a Wal*mart and proved his anti-middle class and entrepreneurial bias by claiming that Walmart is good for America. This piece will demonstrate that opponents of corporate control and the Koch brothers agenda are progressive liberals, not "Marxists" as Beck falsely claims. On his website in a piece entitled "Protesters idiotically target Walmart," Beck embedded the following video showing a musical protest inside a Wal*mart. They changed the lyrics to their demand that Wal-Mart give up a group of rowdy in a public place where business is minding their own business. People buying socks, people there buying Triscuits. Wal-Mart employees making a living by working are shouted out and taunted about the importance of respect. It sounds respectful, and reasonable, doesn’t it? Marxists are so stupid. “Living Wages, Healthy Communities” is a coalition of grassroots-based organizations, pastors, workers, environmentalists, parents, students and community members concerned about the quality of life in DC’s communities and committed to securing decent, living wage jobs. It's important to understand that Beck wants what his corporate mentors, David and Charles Koch, want and furthermore that people in opposition to the corporate control of America (plutocracy) and not necessarily "Marxists" as liberals and progressive. ALEC’s model legislation reflects parts of the Kochs’ agenda that have little to do with oil profits. Long before ALEC started pushing taxpayer-subsidized school vouchers, for example, the Koch fortune was already underwriting attacks on public education. David Koch helped inject the idea of privatizing public schools into the national debate as a candidate for vice president in 1980. A cornerstone of the Libertarian Party platform, which he bankrolled, was the call for “educational tax credits to encourage alternatives to public education,” a plan to the right of Ronald Reagan. Several pieces of ALEC’s model legislation echo this plan. Aside from Beck's tendency to smear progressive liberals, it's clear that this deceitful propaganda has a reactionary, corporate agenda. Wal*mart is infamous for putting small entrepreneurial shops out of business, but that is just fine with Glenn Beck. One of the other three stooges of Beck's morning zoo radio program, Stu noted, “Wal-Mart sales, domestic sales are responsible for about 2.2% of our nation’s GDP.” For Beck and his fellow stooges, the corporate interest trumps the public interest every time. Stu didn't mention how many entrepreneurs that Wal*Mart has put out of business or how far below a living wage the pay their employees. That information doesn't belong in corporate propaganda. How did Glenn Beck last 30 months at Fox? Happy Independence (from Beck) Day!